bring about a World Series championship? Can the prayers of Red Sox fans affect the outcome of the game? Is Fenway Park a "sacred space?" 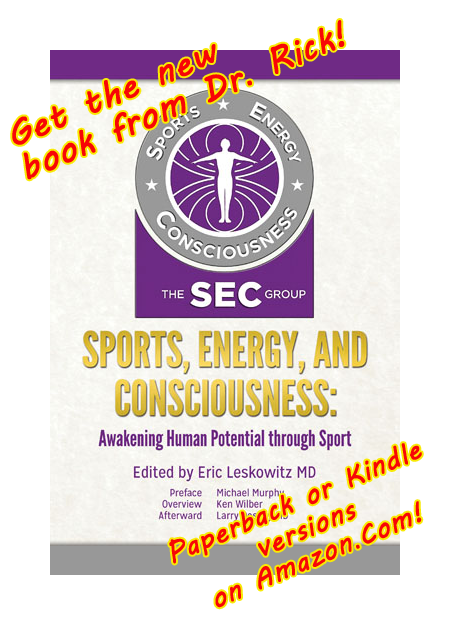 Can sports help us grow spiritually? Welcome to The Joy of Sox: Weird Science and the Power of Intention, a new documentary film that looks at the powerful interactions between Red Sox fans and ballplayers through the window of subtle energy, that mysterious force referred to by mystics and healers through the ages, a force which can now be explained by a host of new "weird science" experiments that are as provocative as they are sound. 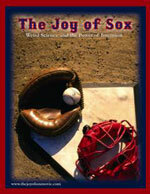 The Joy of Sox includes personal insights from Red Sox players, confessions from Red Sox Nation, observations from noted baseball commentators, and interviews with prominent scientists and energy medicine clinicians. The Joy of Sox will prove that the well-known "home field advantage" is the result of more than just loud noise and familiar settings. New research into remote attention, healing prayer, and interpersonal brainwave interactions will reveal how invisible forces connect people to bring about peak performance. Actual computer studies performed at Fenway Park will prove the existence of invisible "Sox fan energy" and its impact on their team, and viewers will even learn simple techniques to boost their cheers' impact. The Joy of Sox Movie production team includes Harvard psychiatrist Rick Leskowitz MD, award-winning documentary filmmaker Joel Leskowitz, and award-winning producer and screenwriter Karen Webb. The film has aired on PBS and been included in their programming catalog. We're also proud to be entered in several prominent film festivals. Authoritative, insightful and hilarious. 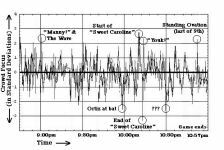 As a high school basketball coach, the concepts help improve my team's energy at practice and during games. What an accomplishment! The blend of scientific inquiry, humor and interviews was impressive, informative and entertaining. I LOVED it. It's entertaining, funny, insightful, and strikes the perfect balance of not being pushy but being very convincing nevertheless. Latest blog about Gabe Kapler! The science behind the spirituality! Click image above to learn a little about this logo! Website Design and Optimization by Signore Web Design. The Joy of Sox logo embodies the overlap between sports and spirituality. The ancient yin/yang logo from Traditional Chinese Medicine symbolizes the balance of opposites, which is the philosophy behind acupuncture, tai chi, and so much of modern holistic medicine. Black on one side, white on the other, with each polarity containing seeds of its opposite, the small dot of the reverse color inside. The circular swirl that divides yin from yang reminded me of the pattern of stitches on a baseball, so the first version of the logo simply combined those two elements by making stitches on the border between yin and yang in the traditional icon. Then my wife Doreen came up with the masterstroke, turning the two complementary dots into eyes, and adding a smile and a cap so that the logo came alive as a face. We were fortunate that Bay Area graphics designer Jon Adams (www.citycyclops.com) offered to spiff up our image, but there was still one problem. Our original design included a letter "B" on the baseball cap, done in the distinctive Gothic font of the Red Sox. However, legal advisor Gwen Roos (www.onsidecounsel.com) warned us that Major League Baseball could potentially get very possessive about their trademarked font, and we'd be wise to avoid any potential problems. My compromise idea of using a generic font for the letter "B" was also nixed, on the theory that it wasn't worth risking any potential lengthy legal entanglement for a minor point of emphasis. So cooler heads prevailed, and Letter B bit the dust (especially sad, since it was one of my favorite Sesame Street tribute songs. What, you don't remember the Beatles hit, "Letter B"?!). One of our web designer's, Adam Signore ( Signore Web Design ) updated the image to have the "Joy of Sox Movie" title in place of the Gothic Red Sox letter "B". We're still working out the details for ordering the The Joy of Sox Movie on DVD, but in the meantime please fill out this form to register for DVD availability alerts. When the DVD becomes available we will email you with all the different purchasing options.